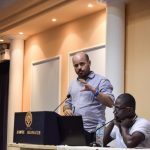 On Tuesday, September 18th, the Greek Forum of Refugees, along with the Integration Council of Immigrants, organized a conference on the legislative and policies’ updates of asylum in Greece and Europe. The event was held at the Cultural Center of the Municipality of Athens, at the “Antonis Tritsis” Amphitheater. Speakers in the discussion were Mr. Vasilis Papadopoulos, Coordinator of the Legal Services of the Greek Council for Refugees, Mrs Georgia Spyropoulos, from the Hellenic League for Human Rights and partner of Mr. Christopoulos, who did not manage to attend the conference. 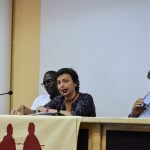 Mrs Marianella Klokas, Advocacy Officer at Praksis, and Jean – Didier Totow, representative of the Congo Community in Greece and member of the Board of Directors at the Greek Forum of Refugees. 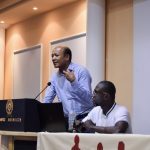 Coordinator of the discussion was Mr. Ayman Slimbi, Vice President of the Board of Directors of the Greek Forum of Refugees, and representative of the Syrian Roof in Greece. 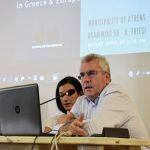 Mr Lefteris Papayannakis, Deputy Mayor of Immigrants and Refugees of the Municipality of Athens and President of the Immigration Council of the Municipality of Athens supported our Conference by representing the Municipality of Athens. The Conference began and was completed by the President of the Greek Forum of Refugees, Mr. Yonous Muhammadi. 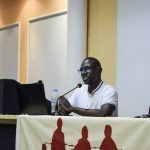 The event was attended by representatives of migrant and refugee communities, representatives of agencies and organizations, local authorities and directly interested asylum seekers who wished to receive information on current updates on Asylum procedures. Mr Papadopoulos was the first speaker, who wanted to give a wider say about the recent legislative and administrative policies’ updates on the asylum procedure in Greece and Europe. In particular, he referred to the recognition of Turkey as a safe third country for Syrian refugees by the Council of State , and also by the European authorities. He emphasised on the legal and administrative processes that cause the congestion of refugees and immigrants on the islands. He also referred to the problems in Evros area, regarding the lack of human resources by the Asylum Service and the issue of push backs, a policy coupled with the rise of anti-migrant tendency in Europe. Concerning the agreement between Greece and Germany, it was described as a matter of administrative settlement, and it was concluded that more than 20,000 refugees on the island, along with push backs at Evros, would bring Europe ahead of its responsibilities for the protection of refugee rights and in general, of human rights. The discussion continued by Mrs Spyropoulos, who carried out an overall critical assesment of Europe’s policies in the field of security management. Her main argument was that the policy followed by the EU in recent years on the management of the refugee crisis is based on its investment in first reception countries which are transformed into buffer- zones aimed to intercept refugee flows. In other words, EU is trying to transfer the responsibility of providing protection to intervering countries. Lastly, Mr Totow attempted to give a general picture of the impact of political and legislative changes on communities,while at the same time highlighting the role of the communities themselves in the public debate. Above all, he talked about the present situation on the islands, but also in political developments in European territory, with the rise of extreme anti-migrant tendencies. 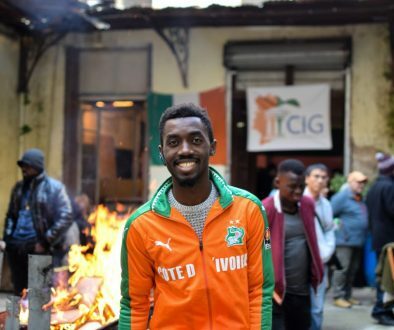 Ιn conclusion , he pointed out the need to organize refugee and migrant communities in the context of improving the process of integration as well as the creation of opportunities. The Greek Forum of Refugees felt it was necessary to provide with information on the legislative and policies’ updates on the asylum procesdure in Greece and Europe, mainly due to the lack of information not only of the refugee and migrant communities but also of the organizations themselves and the public sphere in general. The overall services of the organizations, including the legal support services , are considered to be largely inadequate, with communities showing their dissatisfaction with them. 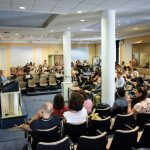 The Greek Forum of Refugees has decided to launch a series of meetings and initiatives that will bring together representatives of communities with organizations, as well as, local authorities in order to create a broader cooperation.